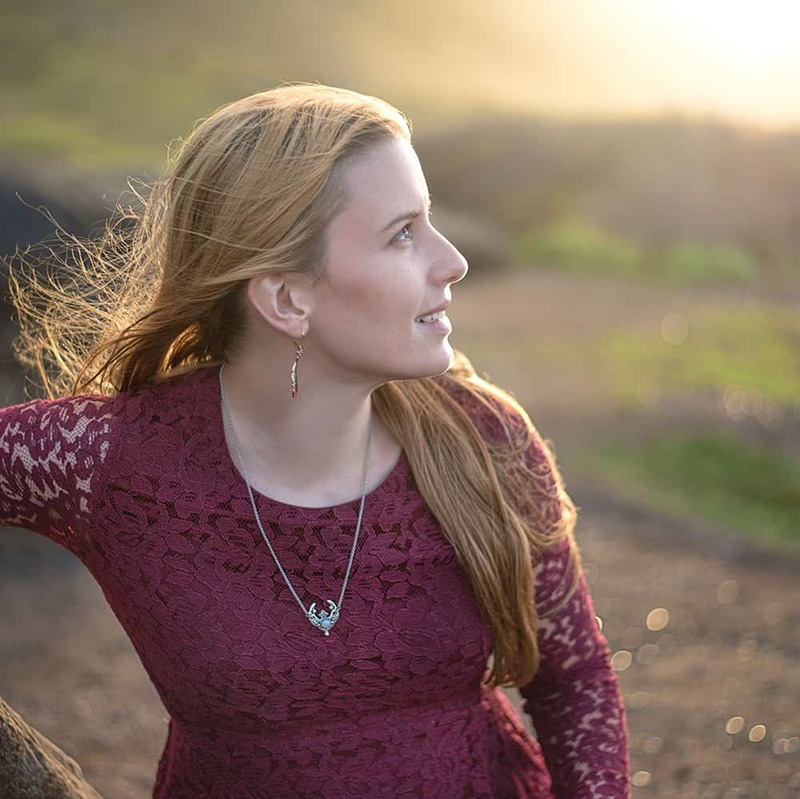 Nothing can compare with the beauty of an elaborate, handmade floral lei (don’t take my word for it – check out Wandering Malia’s post basic ribbon lei, but with a couple extra pieces of ribbon. My husband is now on shore tour (yay! ), but when his boat got home from deployment last fall members of the FRG made ribbon lei in the boat’s color for every single sailor. Wow! Even though they’re fairly quick to make, that was a time commitment. 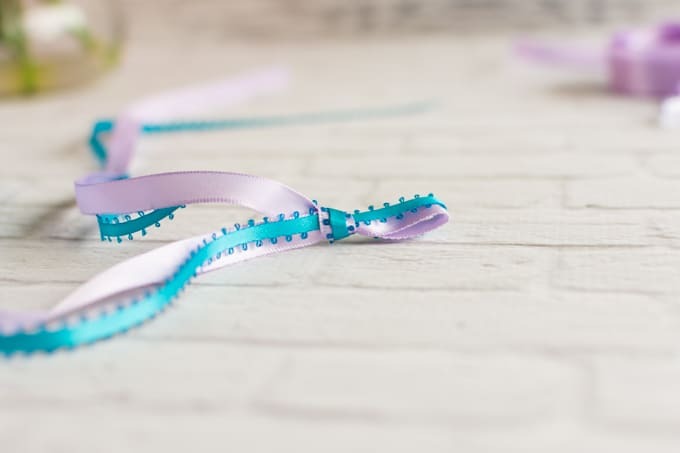 Ribbon lei like this are great for situations where you need a lot of lei, need them to last, and don’t want to risk staining someone’s dress uniform/clothes/gown/etc (I’ve heard ti leaves stain dress whites – eek!). 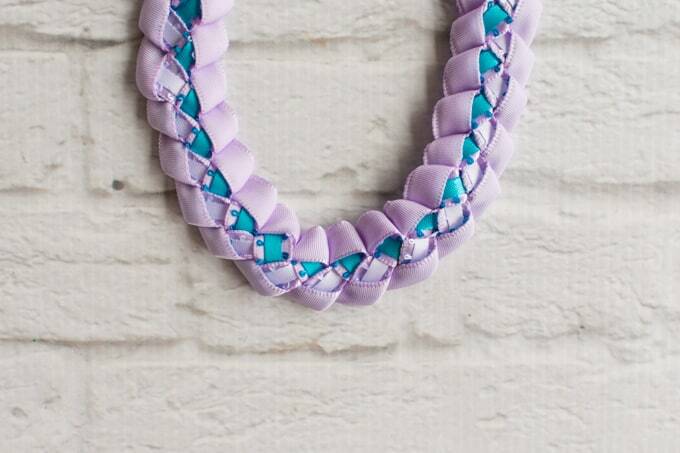 I used a narrow picot ribbon for my accent pieces (picot is the ribbon with little loops on the outside, in case you aren’t familiar), but you can use a narrow plain satin ribbon, instead. That’s it! 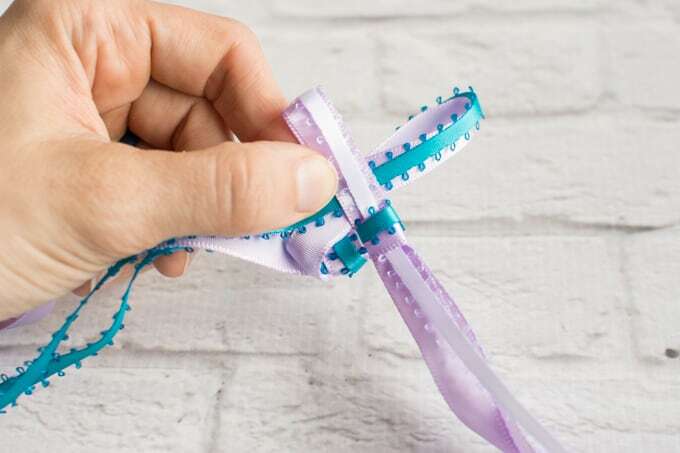 You may also want small binder clips, paper clips, or quilting Wonder Clips to hold the ribbon in a loose coil, but it isn’t mandatory. 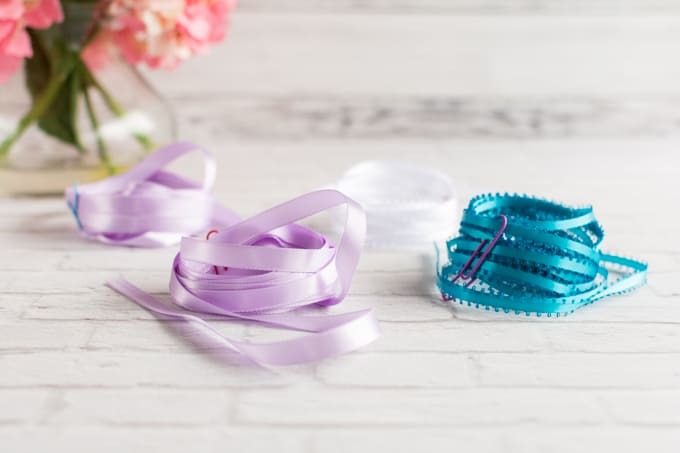 Take one set of ribbons and loop them into a slip knot. 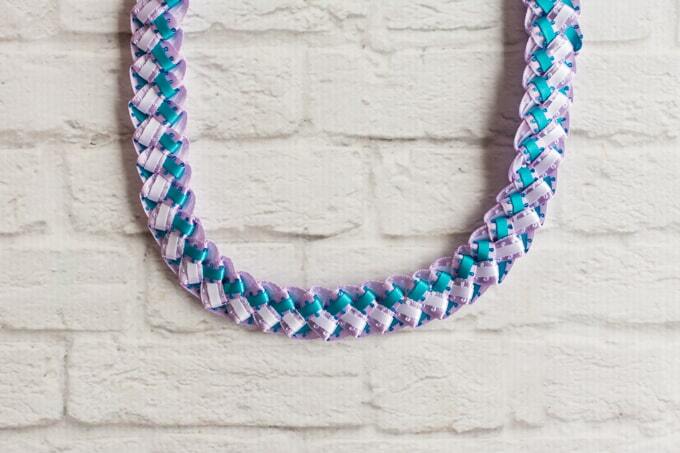 Leave a tail that’s at least 1 foot long so you can tie the lei into a loop once you’re finished braiding! 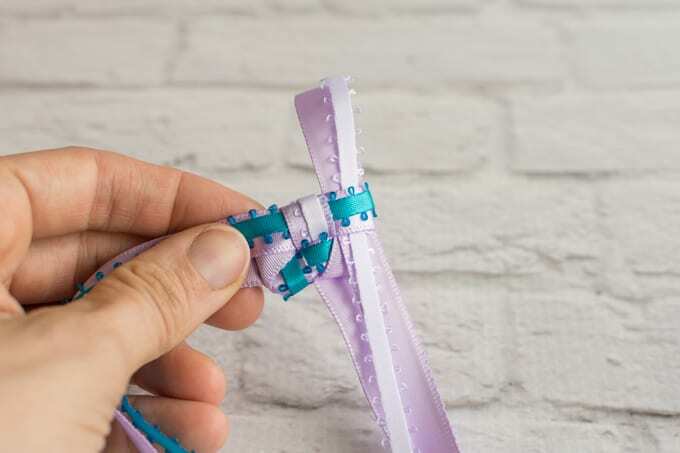 You want the picot to be on the satin ribbon’s smooth side on the working end of your ribbons (the end leading to 5-6 yards of ribbon you’ll be braiding with). 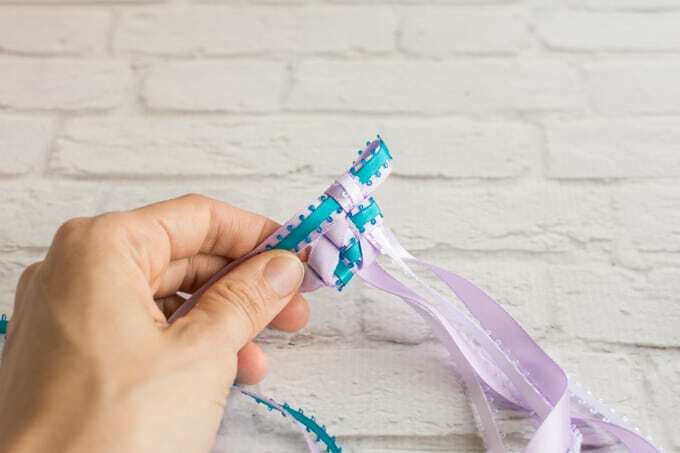 In the pictured example, this is the set of ribbons with the blue picot and is referred to at Set 1. 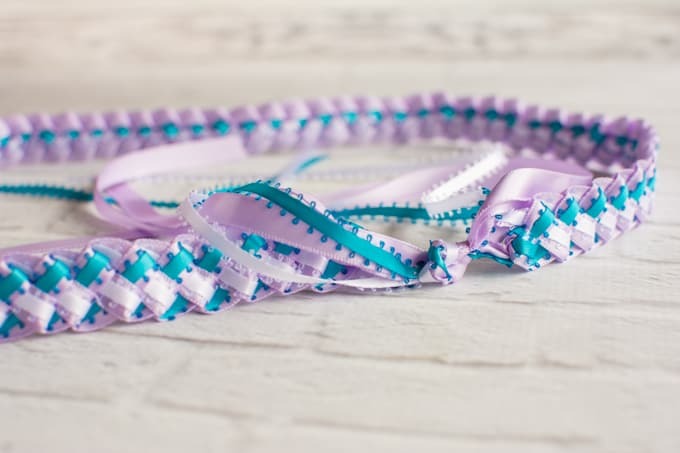 Place the second piece of picot along the smooth side of the second piece of satin ribbon, move about a foot away from one end, and simply fold the ribbons over to form a loop. This is with white picot in the example and is referred to as Set 2. Insert this loop through the slip knot in Set 1, as shown. 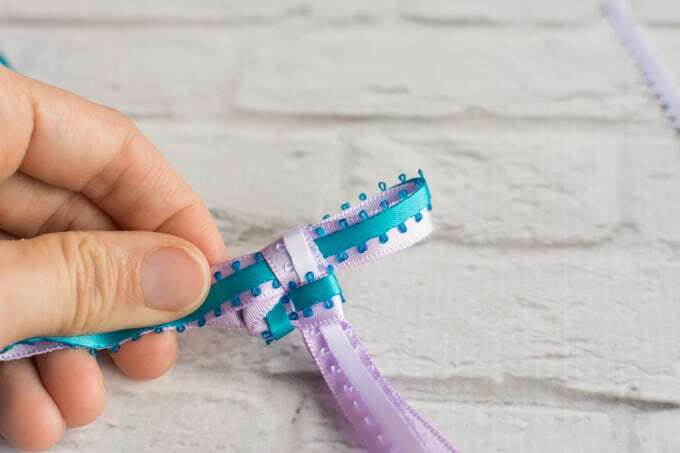 Using the working end of ribbon Set 1, form a loop, making sure the picot is on the outside, and insert it through the loop in Set 2. Pull on the ribbons in Set 2 to close the loop, as shown. You want the ribbon loops to be snug, but not so tight they cause puckering. Now you have a little loop like a rabbit ear made from the ribbons in Set 1 sticking up, so you just repeat the process outlined above! Make a loop with the ribbons in Set 2 and insert it through the loop in Set 1. Snug the Set 1 ribbons down. That is all there is to it! Just keep making loops and snugging them down. Keep going until the lei is about 3 feet long and/or you have about a foot of ribbon left. To bind off the end, pull the tail of the ribbons all the way through on the very last loop. 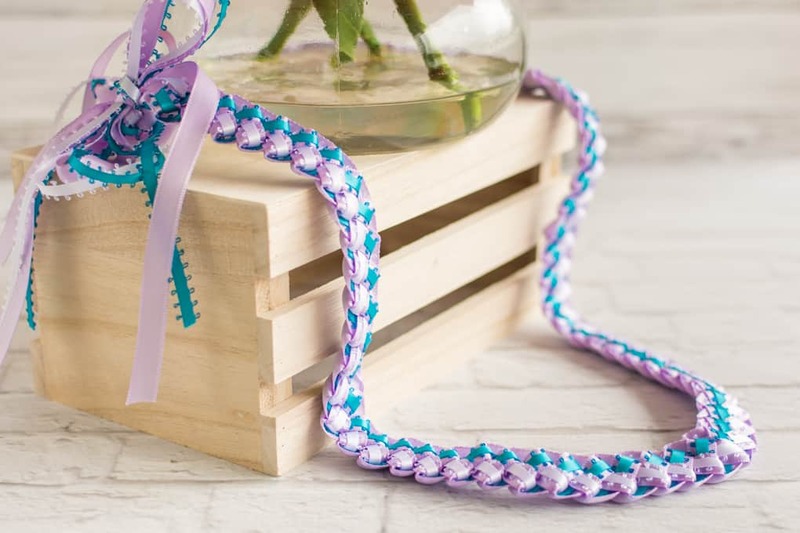 I think this side is prettier when making a tricolor ribbon lei, but the choice is yours! Once you’ve picked a side, tie all four tail ends together to form a closed loop. I like to tie a square knot then a simple bow. You can also make a separate, more elaborate bow and tie it in place. And there you have it! 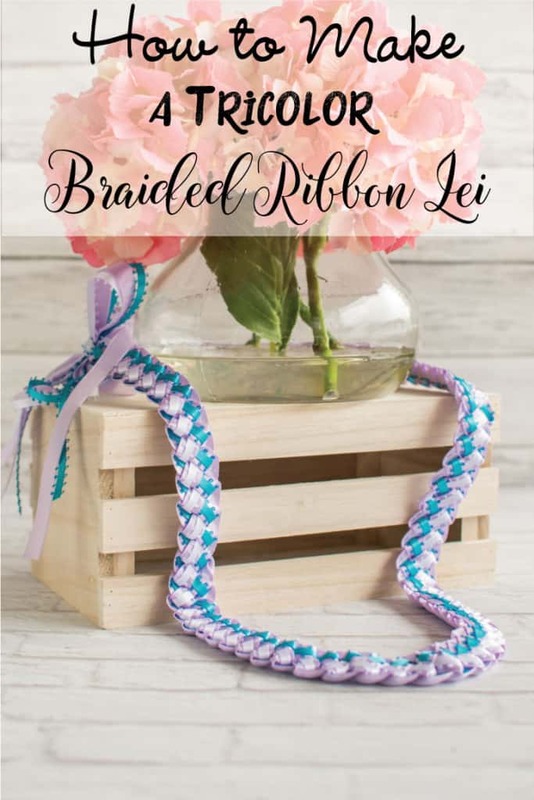 A simple, but pretty tricolor braided ribbon lei. If you’d like to see the process in motion, I have a quick YouTube clip that shows how to form and tighten the loops. 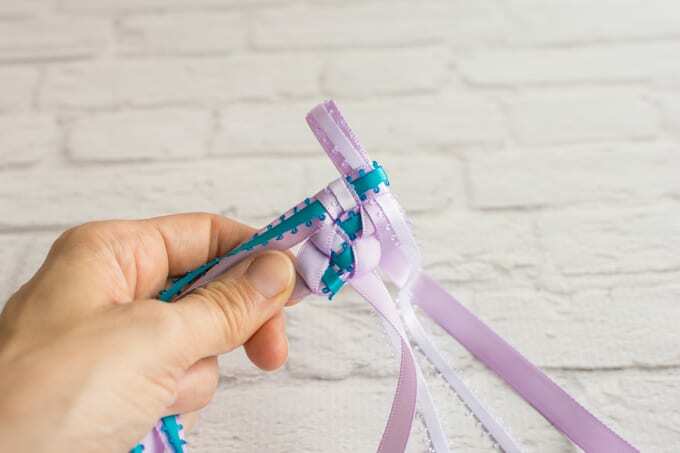 The demonstration is with two pieces of ribbon, but the process is exactly the same. 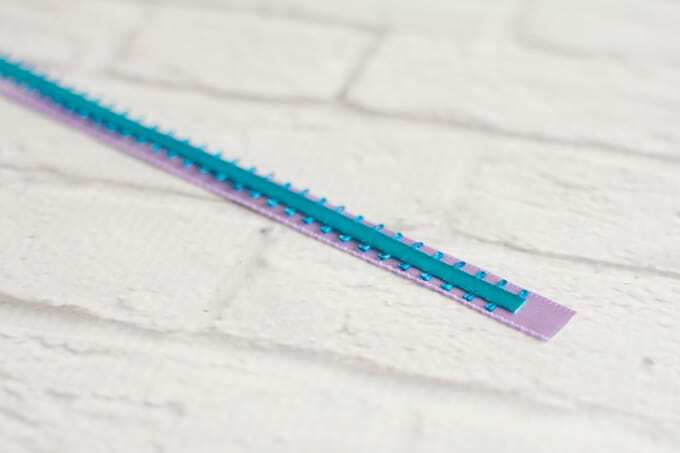 I cannot find yards of ribbon that come in that length anywhere! I’ve looked at three different stores! 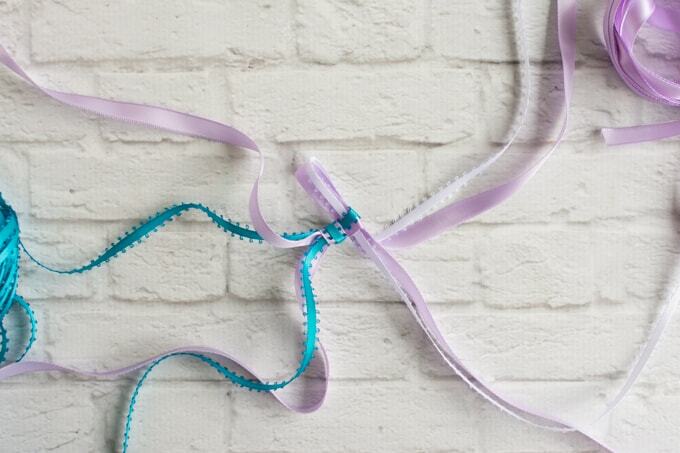 Where do you find your ribbon that comes in 10-12 yards? Wow! That is amazing. Your talents have no end, Natasha. This is so beautiful! Aww, thank you! You’re so kind. Previous post: Pinto Bean Kale and Veggie Soup – Vegan/Vegetarian Friendly!